Lydia Musco is an artist from New England whose work has been exhibited in galleries and outdoor spaces across the US. She studied stone carving in Italy and has participated in symposiums and residencies in Norway, South Korea, and China. As a graduate student Musco developed methods of casting concrete in thin, stackable layers, and was awarded a Joan Mitchell Foundation MFA Grant for the resulting body of work. She has been a recipient of a Pollock­Krasner Foundation Grant, a Clark Hulings Fund for Visual Artist grant, and an Edward F. Albee Fellowship, among others. She holds a BA from Bennington College and an MFA from Boston University. She is a Lecturer in Sculpture at Boston University. Musco lives and works in Royalston, Massachusetts. More information at lydiamusco.com. 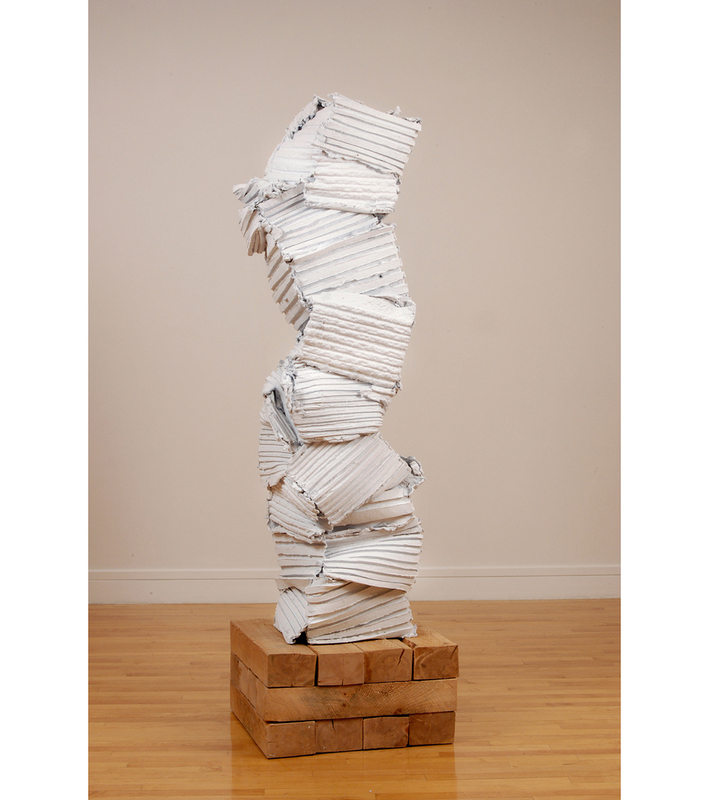 Lydia Musco constructs her sculpture Hug 15.